£15 per entry plus event passes. 1st Trophy + £200 –Trophies for 2nd and 3rd places. Medals up to 6th place. Open to all, this category is designed to highlight the social dancing skills of the dance partners. As a freestyle dance a definite lead and follow must be demonstrated. A minimum of 70% is to be recognisable as modern jive. Competitors must be at least 15 years old. In general the judges will be looking for the flow of the dance and the connection between the partners in tune with the music. During the heats a couple will be tapped on the shoulder and informed they are through to the next round. In the semi-finals and the final, competitors will be judged in accordance with the internationally recognised Relative Placement scoring method. 1st Trophy + £100 – Trophies for 2nd and 3rd places. Open to amateur dancers only. This category is only for dancers who have never previously competed in modern jive (Ceroc, LeRoc, Le Jive). A freestyle dance category, couples will dance to music selected by the organiser. Airsteps are not permitted. A move where both feet leave the floor is permissible provided that one foot remains below the waist level of your partner. “The waist level is the waist level whatever position you adopt”. A minimum of 70% is to be recognisable as modern jive. 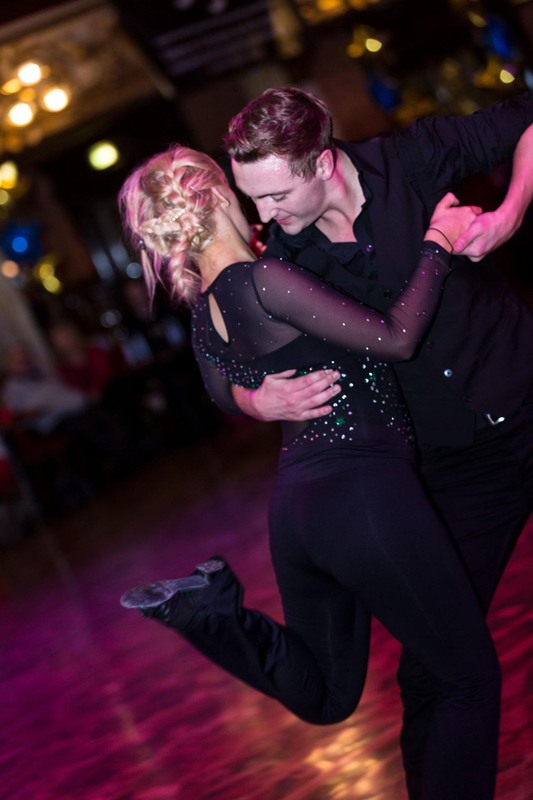 In general the judges will be looking for the flow of the dance and the connection between the partners in tune with the music selected by the organisers. A minimum of 6 couples required. 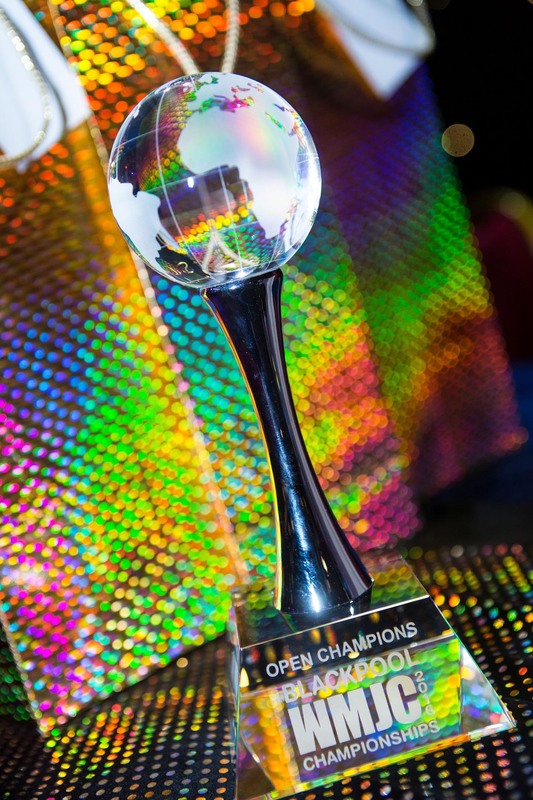 The organiser may, at their discretion, permit the competition to take place with a lesser number but will revise the prize structure as they deem appropriate.Competitors will be judged in accordance with the internationally recognised Relative Placement scoring method. Open to amateur dancers only. Teachers/professional dancers are not eligible to enter. This category is for dancers who have danced for more than 6 months but do not feel comfortable or confident enough to compete at Advanced level. This is a freestyle dance category. Couples will dance to music selected by the organiser. Airsteps are not permitted. A move where both feet leave the floor is permissible provided that one foot remains below the waist level of your partner. “The waist level is the waist level whatever position you adopt”. A minimum of 70% is to be recognisable as modern jive. In general the judges will be looking for the flow of the dance and the connection between the partners in tune with the music selected by the organisers. 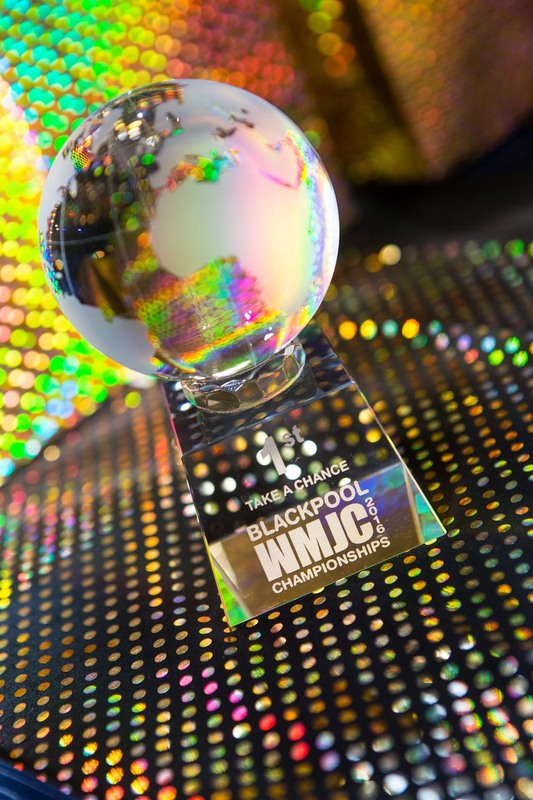 Past winners of the Intermediate level at Blackpool are excluded from this category and should enter either the Advanced level or the Open category. 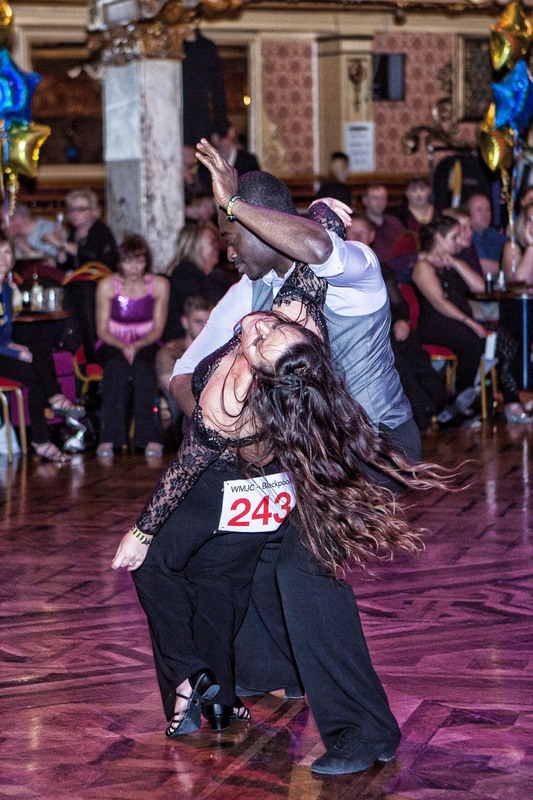 Dancers are on their honour but if a couple in the opinion of the judges should be competing at a higher level they may be scratched from this category and moved up to the Advanced level. Partners rotated during prelims, then compete in Final as a couple. A minimum number of 6 Leaders and 6 followers required, a lesser number may be allowed at the organiser’s discretion. Open to amateur dancers only. Teachers/professional dancers are not eligible to enter. 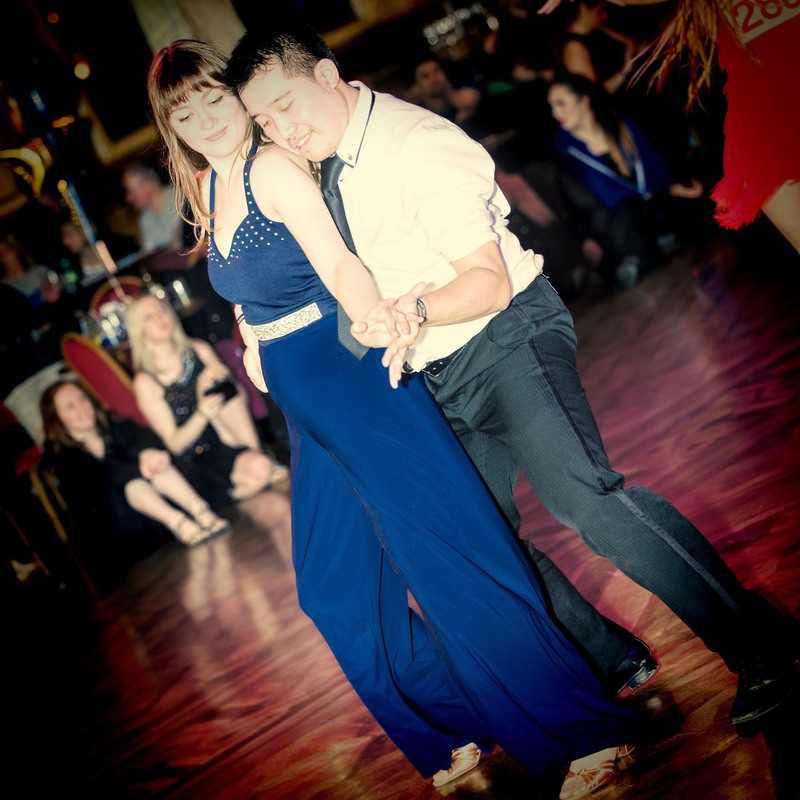 This category is for experienced modern jive dancers, who are likely to have been dancing for more than 2 years. This is a freestyle dance category. Couples will dance to music selected by the organiser. Airsteps are not permitted. A move where both feet leave the floor is permissible provided that one foot remains below the waist level of your partner. “The waist level is the waist level whatever position you adopt”. A minimum of 70% is to be recognisable as modern jive. 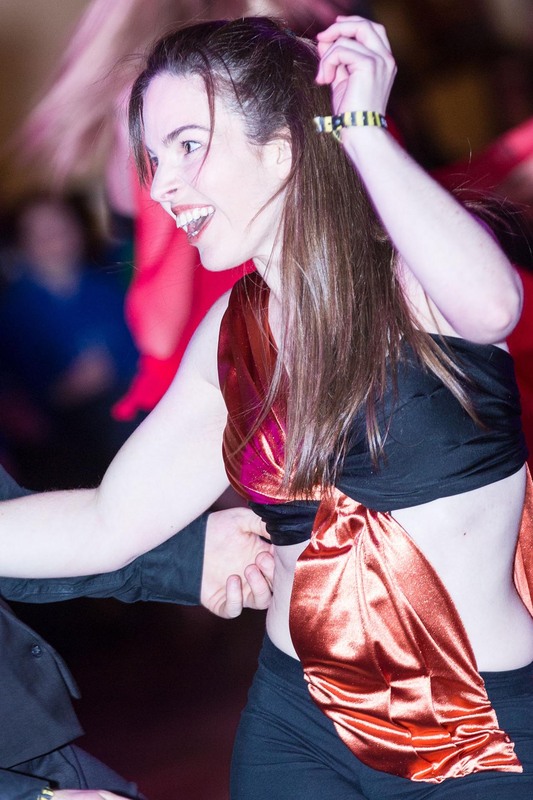 In general the judges will be looking for the flow of the dance and the connection between the partners in tune with the music selected by the organisers. 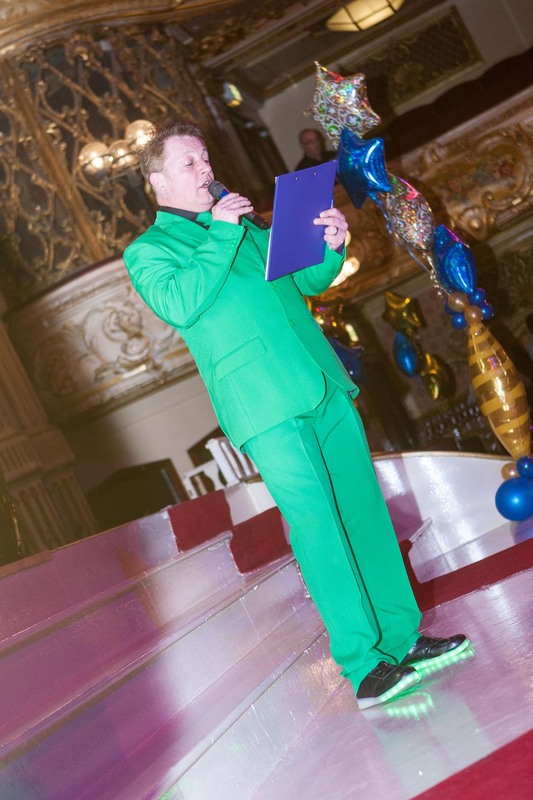 This category is for dancers who have not previously competed at a higher level at Blackpool. Past winners of the Advanced level at Blackpool are excluded from this category and should enter the Open category. Dancers are on their honour but if a couple in the opinion of the judges should be competing at a higher level they may be scratched from this category and moved up to the Open. A minimum of 6 couples required. The organiser may, at their discretion, permit the competition to take place with a lesser number but will revise the prize structure as they deem appropriate. £20 per person plus event passes. Open to amateur dancers only. Teachers/professional dancers are not eligible to enter. Entry level for Sophisticated is age 40 to 54. If one of the partners is above the age of 54 , you should dance in Masters category. Competitors are on their honour but must be prepared and able to produce proof of age if required to do so by the organiser. These are freestyle dance categories. Couples will dance to music selected by the organiser. Airsteps are not permitted. A move where both feet leave the floor is permissible provided that one foot remains below the waist level of your partner. “The waist level is the waist level whatever position you adopt”. A minimum of 70% is to be recognisable as modern jive. In general the judges will be looking for the flow of the dance and the connection between the partners in tune with the music. Music selected by the organisers. A minimum of 6 couples required. The organiser may, at their discretion, permit the competition to take place with a lesser number but will revise the prize structure as they deem appropriate. Competitors will be judged in accordance with the internationally recognised Relative Placement scoring method. Open to amateur dancers only. Teachers/professional dancers are not eligible to enter. Entry for Masters MJ age 55+. Where one partner is in this age range but the other is not, this partner must still be within the Masters 40-54 age range and both should dance in the Masters category. £50 per couple plus event passes. An airstep is a move where both feet can be above the waist and 2 are permitted, as is a straddle jump where the dance partners separate for a brief time. Other moves where one partners foot is above the knee but below the waist is permitted. “The waist level is the waist level whatever position you adopt”. 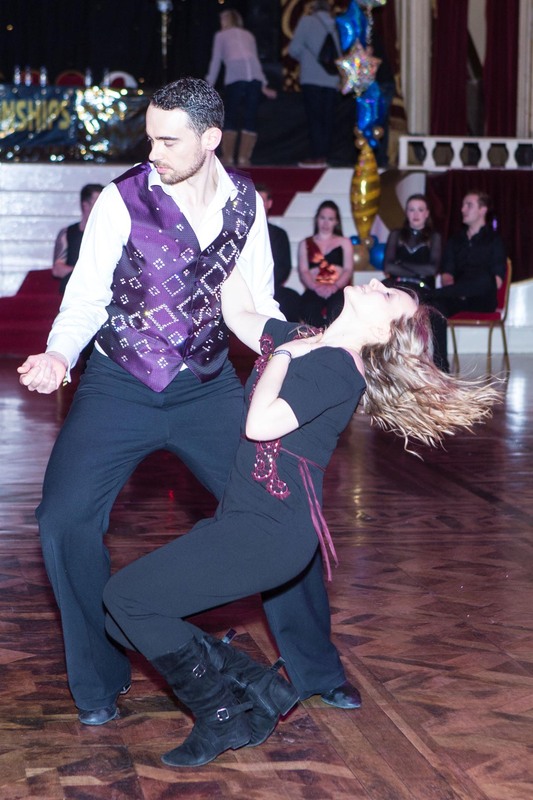 In general the judges will be looking for the flow of the dance and the connection between the partners in tune with the music selected by the organisers. We are changing the format this year. There will be 2 rounds prior to the FINAL which will be danced in Spotlight. Competitors will dance to 2 different genres of music and will be given a points score between 1-5 points for each dance by each of the 7 Judges. Competitors will dance to another 2 different genres of music and will be given a points score between 1-5 points for each dance by each of the 7 Judges. The scores for each Round will be added together. Maximum possible score over the two rounds is 140 points. The 6 couples with the highest points totals will compete in the Final. Points from the earlier rounds are not carried over, The Final will be judged using the Relative Placement method..
A minimum of 6 couples required. The organiser may, at their discretion, permit the competition to take place with a lesser number but will revise the prize structure as they deem appropriate.Competitors in the Final will be judged in accordance with the internationally recognised Relative Placement scoring method. £30 per team plus event passes. Entries are made up of any three competitors. Open to all, this category is for any combination of a trio (3) dancers who will dance to music selected by the organiser. A minimum of 70% is to be recognisable as modern jive and there must be a clear demonstration of lead and follow. A minimum of 3 trio’s required. If only 2 trio’s are entered for this category the organiser may, at their discretion, permit the competition to take place but will revise the prize structure as they deem appropriate. £40 per entry plus event passes. 1st Trophy + £200 – Trophies for 2nd and 3rd places. 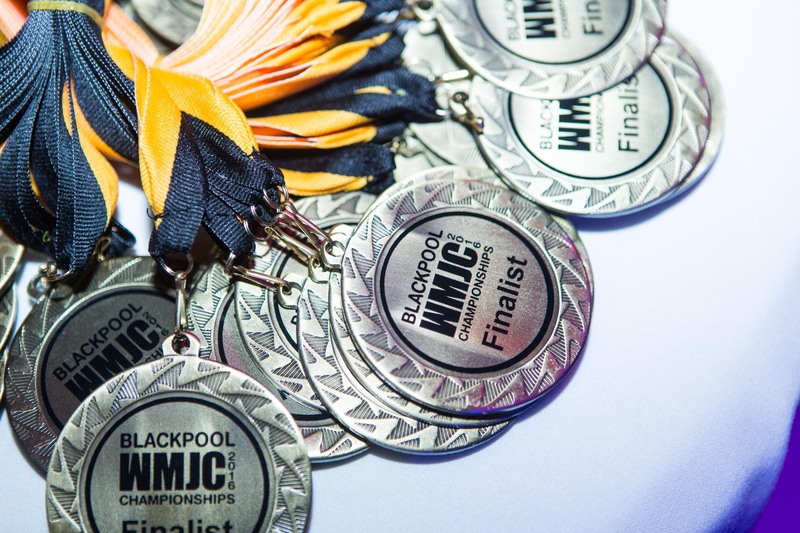 A copy of your chosen music is to be supplied on a USB memory stick or other compatible electronic device as the only track, clearly marked with competitor’s names and handed to the organiser by no later than Noon on the day of the competition. A minimum of 3 couples required. If only 2 couples are entered for this category the organiser may, at their discretion, permit the competition to take place but will revise the prize structure as they deem appropriate. Team 1st place £200 plus Trophy + Medals. 2nd place runner up Medals. A minimum of 2 teams required. If only 1 team is entered for this category the organiser may, at their discretion, permit the team to perform but will revise the prize structure as they deem appropriate. Only the amateur is judged. 1st place £50 plus Trophy for 1st, 2nd, 3rd. 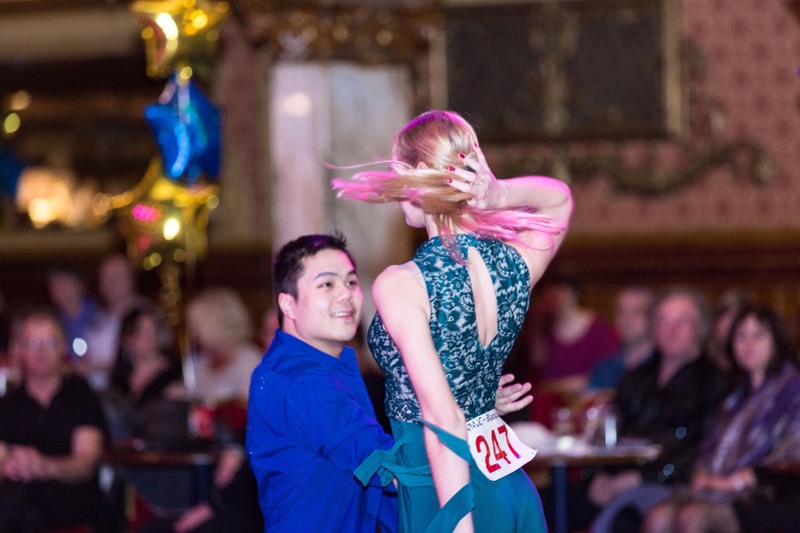 This category is designed to highlight the social dancing skills of the Amateur who is the one being judged. As a freestyle dance a definite lead and follow must be demonstrated. A minimum of 70% is to be recognisable as modern jive. Competitors must be at least 15 years old. In general the judges will be looking for the flow of the dance and the connection between the partners in tune with the music. Airsteps are not permitted. A move where both feet leave the floor is permissible provided that one foot remains below the waist level of your partner. “The waist level is the waist level whatever position you adopt”. Your Pro: The organiser’s definition of a teacher is someone who is paid or is a professional dancer. An unpaid instructor of a dance student/s on a frequent basis is also recognised as a Pro when partnering a student in the ProAM categories. To clarify any misinterpretation of this definition, an Open Level dancer must fulfil this criteria if partnering an amateur in ProAm categories. £20 per person (only Am pays) plus event passes. This category is designed to highlight the social dancing skills of the Amateur who is the one being judged. As a freestyle dance a definite lead and follow must be demonstrated. A minimum of 70% is to be recognisable as modern jive. Competitors must be at least 15 years old. In general the judges will be looking for the flow of the dance and the connection between the partners in tune with the music. Airsteps are not permitted. A move where both feet leave the floor is permissible provided that one foot remains below the waist level of your partner. “The waist level is the waist level whatever position you adopt”. Your Pro: The organiser’s definition of a teacher is someone who is paid or is a professional dancer. An unpaid instructor of a dance student/s on a frequent basis is also recognised as a Pro when partnering a student in the ProAM categories. To clarify any misinterpretation of this definition, an Open Level dancer must fulfll this criteria if partnering an amateur in ProAm categories.